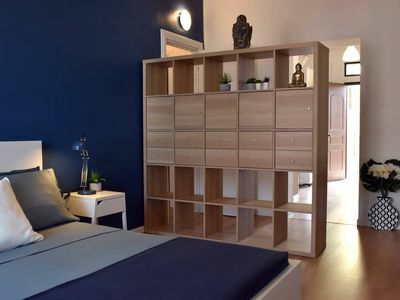 this property is a bright and elegant studio apartment. It sleeps three people. It is approximately 35 square meters (375 square feet). 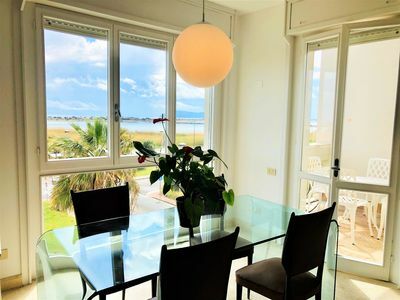 It features direct access to the beach and to the sea, a wide shared terrace with a view of the sea, a shared garden, a reserved outdoor area, air conditioning (please read description below to check in which rooms the units are installed) and WI-FI Internet access. You will be roughly 1 km (0.6 miles) from the center of Santa Maria di Castellabate, where you will find restaurants and shops. You will find the closest restaurant at 800 meters (880 yards), a grocery store at 1 km (roughly 1100 yards) and the stop for CSTP bus Salerno - Acciaroli line at 1 km (roughly 0.6 miles). 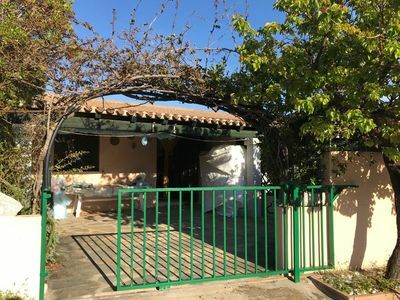 You will reach this property from the garden going up approximately four stairway steps. 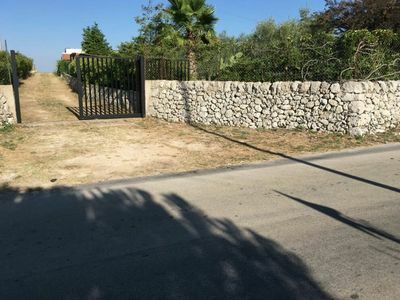 For a succesful stay at this property we recommend having a car. You will be able to park it on the premises, inside the entrance gate. The parking space is suitable for at most one car. 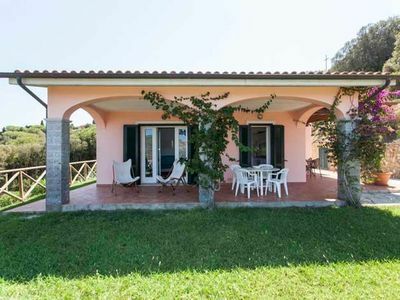 Villa Apollonia is a white one-story villa surrounded by its own garden. Only a row of trees will separate you from the beach and the sea. The long beach is public, with golden sand and is enlightened by the sun from the morning to the sunset on the sea! 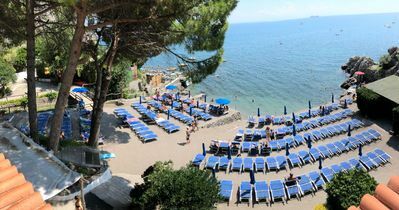 During the summer, if you would like to, you will be able to take advantage of the services provided by several seaside resorts. 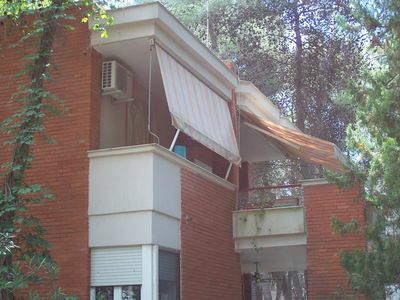 In the villa you will find three apartments. 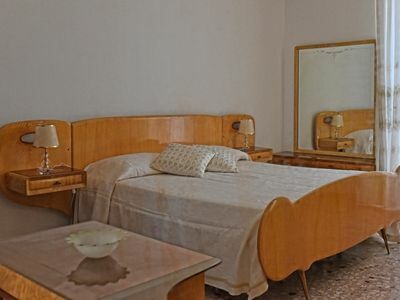 As guests at Villa Apollonia, you will have large shared spaces at your disposal: the garden and the large and sunny roof terrace with view of the sea. From the property you will have a direct access to the sea and to a public sandy beach. The terrace is 200 square meters (2150 square feet) large. You will be able to enter it from the garden climbing 16 steps. It is equipped with tables, chairs, sun umbrellas and deck chairs. From the terrace you will enjoy a breathtaking view of the sea. 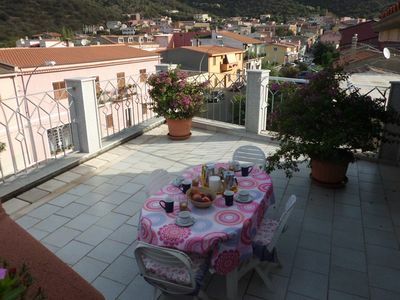 You will share the terrace with the other guests staying at the complex. The garden is 1000 square meters (10800 square feet) large. 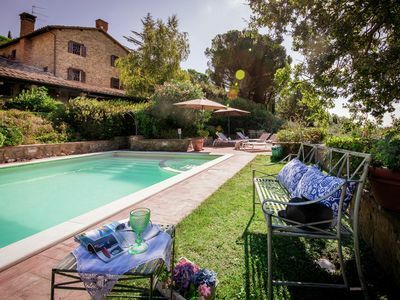 It is partly shaded by a wood roof and by citrus trees. It is equipped with a table, chairs, sun loungers and an external shower. Here you will also find a brickwork barbecue. The garden is shared with the other guests staying at the complex. You will be able to enter the wellness room from the garden. In the wellness room you will find an exercise bike, a fitness bench and a sauna. 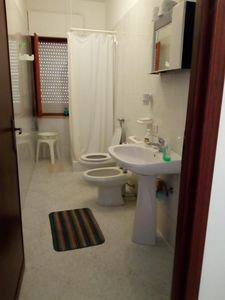 This room has a bathroom, equipped with a washbasin, a toilet, large fully-enclosed shower and a bathtub. Please note that use of the wellness facilities is not included in the rental fee and must be paid locally. In the patio there will be a reserved area for your own exclusive use. The patio is 20 square meters (215 square feet) large. It is partly shaded by a porch. 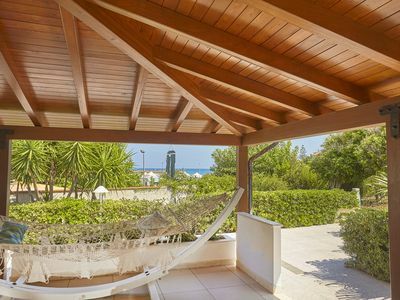 It is equipped with a table, chairs, sun loungers and an hammock. The furnishings of the living room are cozy and comfortable. Here you will find a matrimonial bed (160 cm/62 inches, wider than a queen-size bed). 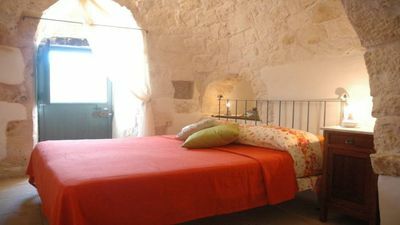 The furnishings include an armchair and a divan bed for one guest. 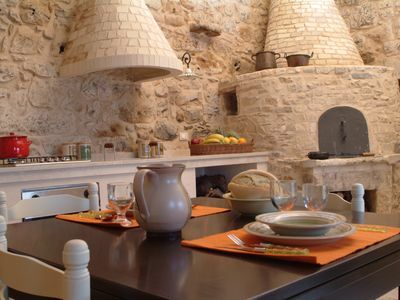 In the living room you will also find a cooking area. 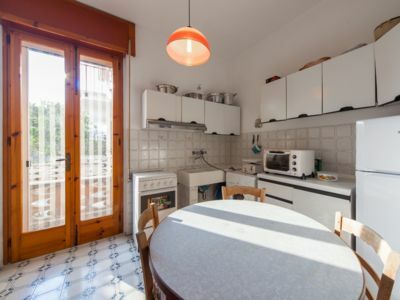 The kitchenette is equipped with a two-burner gas cooker, an electric oven, a small refrigerator with freezer and an Italian-style coffee-maker. 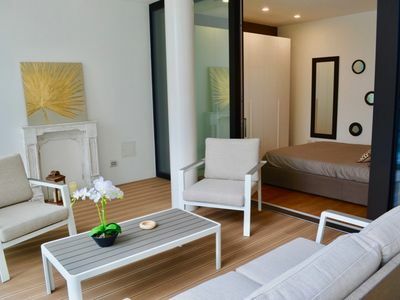 In this room you will find a flat-screen satellite television (local channels). From the living room you will be able to enter the patio and the garden through a French door. The room is equipped with an air conditioning/heating unit. 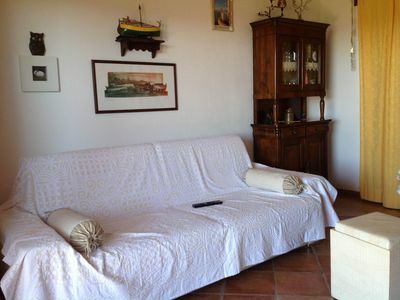 This villa, in Camella, is a comfortable property sleeping 3 people. 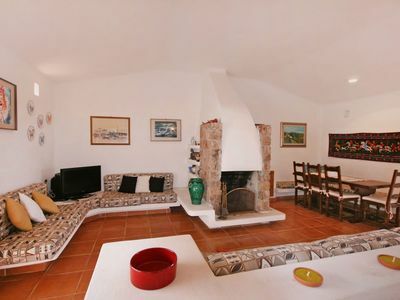 Cdg031 Villa 50 meters from the beach of Castellammare del Golfo.